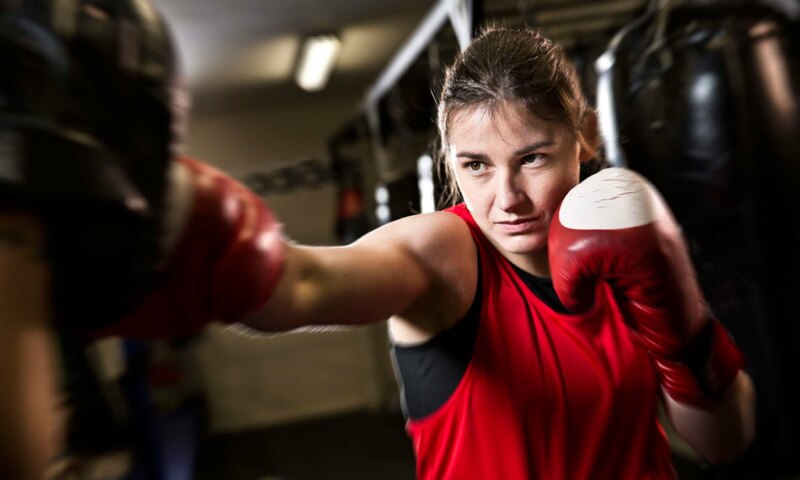 Katie Taylor says she’s prepared to seize her biggest moment in boxing when she challenges WBA Lightweight champion Anahi Esther Sanchez at Principality Stadium in Cardiff on Saturday October 28, live on Sky Sports Box Office. Taylor has raced to her first World title shot in the paid ranks after six fights, with her final eliminator win to land the shot coming at Wembley Stadium against Nina Meinke on the undercard of Anthony Joshua’s epic clash with Wladimir Klitschko in April. The Irish sensation supports her fellow Olympic gold medal winner in another stadium and tackles newly-crowned WBA ruler Sanchez who became a two-weight champion when she stopped fellow Argentine Cecila Sofia Mena in September. Taylor swept the board in the amateur ranks before turning over, but with a decorated career for Ireland in the past, the 31 year old feels her World title challenge in Cardiff is the fight that can catapult her into super-stardom and mega-fights down the line. “Since the fight was announced the weeks have flown by,” said Taylor. “There’s an element of nerves for every fight. I’ve had the opportunity to box on big shows before but this fight without a doubt is going to be the biggest of my career and open more doors in the future. I cannot let this chance slip which brings pressure but it’s the type of fights I want. “I train for every fight like it’s a World title fight. The great thing about this one is I’ve had a much longer camp. The last couple have been so close together. I’ve had a good few months preparing for this one. “When we first sat down with Eddie he wanted us to fight for a World title within a year and he’s stayed true to his word and delivered. It’s an honour to be fighting for the WBA Title. I’m delighted with the progression of my pro career to date. Taylor’s clash with Sanchez is part of a huge night of action in Cardiff where Joshua defends his World Heavyweight titles against Carlos Takam, the Londoner’s bitter foe Dillian Whyte aims to take a giant step to his first World title shot by facing Robert Helenius for the WBC Silver strap and Kal Yafai defends his WBA World Super-Flyweight title against Japanese mandatory challenger Sho Ishida.